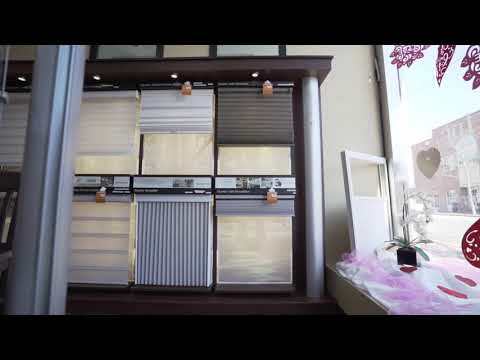 Visit our beautiful state-of-the-art showroom in Red Bank, NJ to see large, working displays of Hunter Douglas blinds, shades, sheer shadings & shutters. Browse through our extensive fabric library to find the perfect fabric for custom draperies, shades or top treatments. We also have a wide selection of upholstery fabrics. Our professional team is excited to work with you on your next home improvement project. Our design consultants are professionally trained to address your custom window treatment needs, including concerns for child safety, insulation, and security. We also offer environment-friendly allergy-free, and fire-resistant solutions. Window Treats consultants are happy to work with you in our showroom or come to your home for a free in-home consultation. Read customer testimonials and see what they have to say! Window Treats is your window treatment and drapery motorization expert. We can guide you in creating a window covering, blind or shade that can operate on a timer or with a click of a button from your mobile device or table. Visit our showroom in Red Bank, NJ to learn more about Hunter Douglas PowerView™ Motorization options. We service all of Monmouth County New Jersey! Explore creative ideas and smart solutions for your windows with our online brochure. It's the ideal introduction to Hunter Douglas window coverings, available at Window Treats Inc. Window Treats Inc offers a large selection of Hunter Douglas window treatments, including sheer shades, honeycomb, Roman, roller, and woven wood shades, wood and composite shutters, sliding panels, vertical blinds and custom drapery. We serve residential and commercial customers throughout New Jersey including Middletown, Holmdel, Rumson, Colts Neck, Fair Haven, Little Silver, Long Branch, Elberon, Deal, Shrewsbury, Allenhurst, Spring Lake, Jersey Shore, and all of Monmouth County, NJ. Please call us or visit our showroom in Red Bank today!